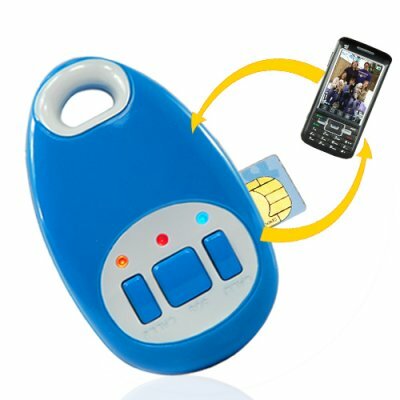 Successfully Added Family GPS Tracker with Messaging - GSM/GPRS/SMS (EU) to your Shopping Cart. Family GPS Tracker with Messaging - GSM/GPRS/SMS (EU). An indispensable device when your family's safety is your number one priority. This EU version of the CVHS-G42 operates on the GSM frequencies of 900MHz and 1800MHz. This GPS navigation device is a must-have for families where safety is a main concern. Buy one to monitor the whereabouts of your own children or pets or buy a dozen to offer your customers a security solution that everyone can feel good about. Just another way that Chinavasion makes life easier for our customers and resale partners. Please check that the local GSM network matches the tracker's GSM standard. Click here to view frequencies for all major worldwide GSM networks. Molded casing with integrated loop design for lanyard or keyring use. I buyed it more than one year ago. Good product with useful safety functionalities. Fast delivery without problem. Solidan uređaj koji ima široku uporabu ,brza isporuka ,radi na sve SIM kartice hrvatskih operatera,pohvala Chinavasion timu profesionalnost i pristupačnost na visokom nivou.